Happy new year folks, it’s January, we’re back to normality after New Years, Christmas and holiday season, and personally after my 2 week charity trip to Cambodia with our GiveBackGiveAway.com foundation, 10 days in India for Christmas day and party-time in Bangkok, Thailand for New Year’s it’s been a HECTIC past six weeks. Business suffered for me in late November and then in December thanks to those 6 weeks of madness, I didn’t really ‘work‘ for that whole time, next-to-no blog posts, very little communication with my staff, scrambling an hour or 2 here or there to catch up with emails and appease clients (if any of you guys are reading, sorry! But building a playground for kids in Cambodia is a pretty solid excuse though, right?!). 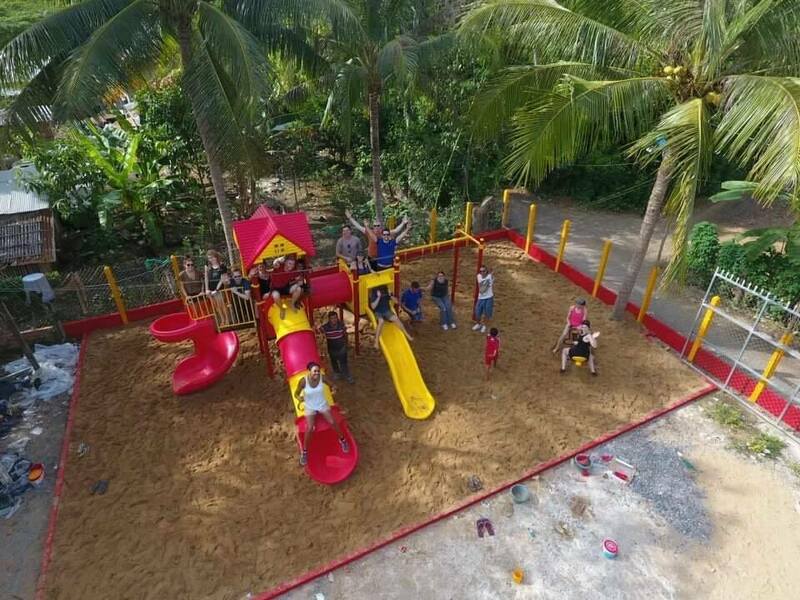 The playground we funded, built and donated in Cambodia. Almost finished! I wanted to write a quick article to chat about blogging and digital media because, since I’ve refocused, January has been booming. 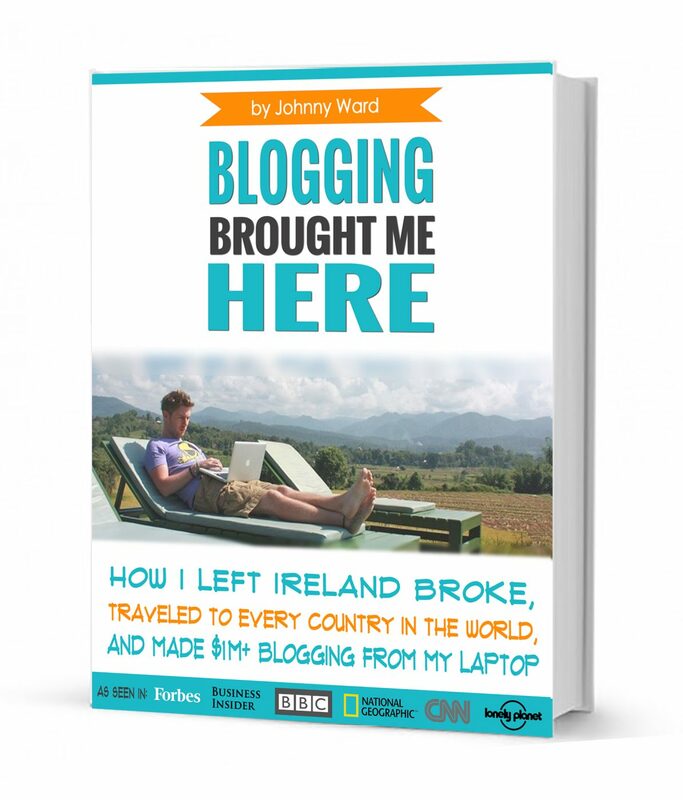 First of all, as you know, blogging changed my life. I cannot stress that enough. And I so, so, so want some of you guys to believe in yourselves more, and live the life you want to live. I was fed up (and still am) watching rich kids flaunting their lifestyles online, lifestyles that they haven’t earned for themselves yet, so I’m hoping you guys watching my journey will show that you don’t have to be handed anything to succeed, all you need is a little courage, a lot of hardwork, and the willingness to take a risk. So, January brought me a new fresh impetus. 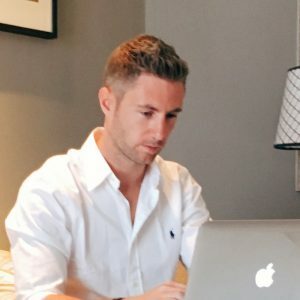 I joined up for another 21 day fitness challenge here in Bangkok, Thailand, I reorganised my business spreadsheets, said goodbye permanently to old-school word and excel and put everything on Google docs. I was hungry again. I made progress with my visas to Saudi Arabia and Yemen (watch this space! ), started planning our new charity trip and starting hustling online again hard. Taking my girlfriend to India for Christmas! Pitching clients, finding new advertisers for OneStep4Ward.com, networking with other bloggers, back to basics. I hate stagnating, and felt that Q4 (last quarter of 2016) wasn’t progressing, I was too anxious about visas and travels. So I sucked it up, worked out and then worked late. Every day, churning it out, and it paid off. I had a quick look at my spreadsheet this morning and it’s hitting almost $25, 000USD, that’s before we add in my Step4WardMedia.com revenue from my other guys. It’s important to trust others, but it’s imperative to never forget that you need to take responsibility for your own actions first and foremost. So I want to generate more revenue? Finish my trip to every country in the world? Grow the charity? It’s not down to my sales guys, my PA or my media contacts. It’s down to me. $25, 000 in 19 days…. Ignore the horrific colour scheme, that’s my way of tracking work done, payments completed and things to action. 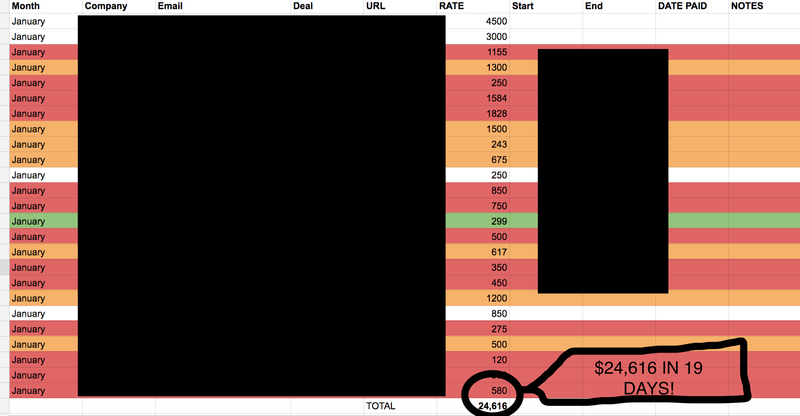 The bottom line is $24, 616 in just over half a month. I haven’t cracked the $50k a month level for a while since SEO took a hit but January looks like it may do that for me. So I know a lot of you ask HOW this is possible, but I promise you it’s all true, it’s all above board, and it blows my mind just as much as it does yours, probably more. Blogging makes money a million ways, but affiliate marketing, content marketing, copy writing, brand ambassadorships, public speaking and direct adverts are the main ways to generate money from your blog. BUT DON’T FOCUS ON THE MONEY, AT LEAST NOT YET! Focus on your passion, blog because you love it, find your niche and spread a positive message, one you truly believe in. I want to encourage people to travel the world, experience different cultures, ignore mainstream media messages and decide for yourself. I love having a voice to help silence horrible Islamaphobia, to tell you guys that countries like Algeria, Dominica, and Ethiopia are amazing, not just Cancun, Marbella and Amsterdam! 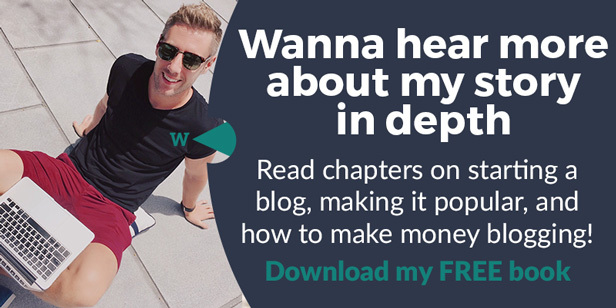 If you’ve signed up to my website, you’ll have received a FREE ebook explaining more about my journey and even more importantly a more in-depth explanation about how blogs can make money, and how they can be the key to the life you dream of. So make sure you SUBSCRIBE here! That brings me nicely onto my next point…. Next month I’m going to be flying a guy in from Bali to begin designing a course showing you guys, literally step-by-step, how I managed to break the cycle of 9-5, grey monday mornings and middle management. 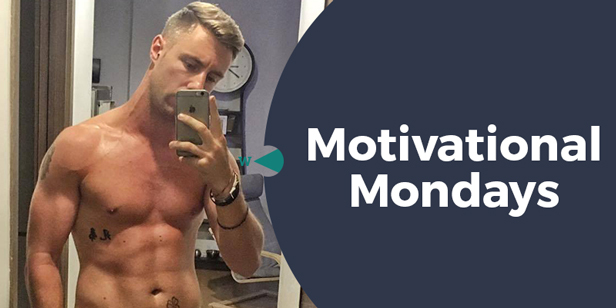 In my mind 3 things have played a huge role in my life switching up from a confused, broke Irish guy to living the dream, traveling the world, with the freedom to do what I want. So the course will offer 3 huge modules helping me change their life starting today. Module one will be a DEFINITIVE guide to how to teach English in Asia, whether you’re a native English speaker or not. Which countries you need degrees for, how to find work, places to live, what you’ll get paid, interviews with current English teachers in each country. It’ll be THE guide to teaching English in Asia, everything you need to stop what you’re doing and make your move ASAP. Secondly, it’ll explain EVERYTHING about blogging, how to get started, how to design your blog, how to name and design your blog, how to do everything technically in super simple terms, or how to hire outsourced, cheaper staff online to do it for you. How to make your blog popular, how to get more traffic, how to get followers on social media, how to travel for free, everything you need to know. One of the options when you sign up will be for us to create your whole blog for you, plug in and play, you’ll be ready to go instantly. 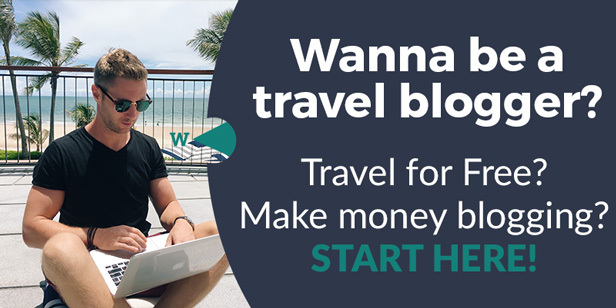 Finally, although you can make six figures with your blog, if you’re dreaming of 7 figures (that’s $1, 000, 000+USD!) you’ll need more than one website, and you’ll need to understand how to make money from sites. Module 3 will be where the REAL money is. Learn how to offer copy writing, social media management and online marketing/SEO to clients, learn how to make 5 figures a month and how to never have to work in an office again. Pretty sweet! 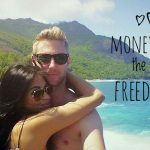 I’m so excited about this course, I honesty believe if anyone follows it religously, within 18 months they’ll be free to travel for free, and make great cash online. Living the dream. Make sure you’re subscribed to my blog for more details when we launch, we’ll be starting the content for the course next month. See you guys on the road! 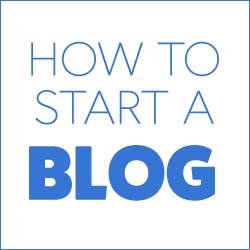 YOU WANT TO START BLOGGING? One last thing! I really want to get you guys up and running with a blog, so if you want to start blogging, here’s how to have a blog in less than 30 minutes! If that’s still too much tech for you, then my team at Step4WardMedia.com can take 3 clients per month for a super cheap, nice, clean basic blog for $499, drop me a line if you’d like to get it set up for that too! I have no idea how looking at a travel blog on getting a Visa for Kaliningrad from Gdansk has lead me to this comment section of a blog post on a completely different site via a lot of creepy pages but can i just ask …………… Has any one checked if that Ola Mueller is still safe?! Sold out have we Ward? Stalking other people’s friends now because you are so rich in money you have nothing else to do? Leave me and my friends and contacts alone. You have no right to do what you are doing, can I contact your Mum, your sister, your friends, your enemies? Is that OK if I do that?? You are not a doctor, you are not a guru in anything – not even travel anymore – 4 years ago was your niche, now you’re just a money making stalker. Stay away from my friends, don’t criticise me and my blogs, my health, my truth and apologise for everything and maybe you will know what it means to be a nice person rather than one grabbing money and writing excrement formerly found on a beach in Donaghadee. And delete that excremental “nicey nice boy comment” that claims the girls did nothing wrong. They did many things wrong and sometimes the best way in life is to be honest and confront it. My honest is never in doubt. I write from the heart and mouth. I am true and pure. buddy, you’re stalking these girls, who have done nothing wrong. You’ve become obsessed with 2 girls who want nothing to do with you, leave them alone and seek professional help. It’s sad to see you like this, but you need to be in a professional institution while you work out what’s wrong. As someone who has a stalker, I know what the girls feel like – they don’t want you in their life, they’ve written that 10000 times clearly and directly to you. Stop creating fake profiles, stop harassing people, get a grip, you’re nearly 40 years old. This constant cry for attention is pathetic, but you need help, not pity. Find it. If you don’t have anyone who cares about you enough to step in and help, I’m willing to do it, before your hurt yourself, or even worse, someone else. You’ve had a complete breakdown and have lost all touch of reality. Seriously mate. Wow. And nice person? These girls want you out of their life, yet you threaten to turn up in their villages? They’re terrified. They have done nothing wrong?? What on earth do you know about it you idiot? You are not a doctor and you are not God and please publish this – do not delete my posts – I am an honest guy and I hate liars and bull excrementers so I tell it how it is. You don’t. Turn up in their villages?? YES OF COURSE I DID> I am a writer and a tourist. I go to more villages than you will ever go to. If you don’t see how creepy this behaviour is Jonny, and how clearly obvious is that you have an obsession with a girl who has begged you to leave her alone, then you need even more help than I thought. Why are your friends and family not reading this stuff and stepping in? Why are you creating multiple fake accounts and talking to yourself? Why are you fixated on these minute details. This comment you’ve just written – Mate, seriously. She obviously didn’t want to see you. That’s fine, we all get rejected now and again. Leave it alone, get on with your life, get help and self reflect. Can you at least see no one else around you behaves like this? It’s weird mate, super weird behaviour. Fix it, fix yourself, stop harassing people, and go home. I’ve been worried about you for literally 6 months or so now, tried to help you so many times, but you clearly don’t want help. When you start bullying people who are powerless to stop your psychotic behaviour, then i feel it’s my duty to at least try to defend them and pull you up on your harassment. If people don’t want to be associated with you, it’s their right, leave them all alone. Then leave me alone. Enough is enough. You said LYING IS DOING NOTHING WRONG. That’s what you said. THis is nothing to do with rejection. It is about travel tips and keeping promises and morals of life. 2 people promised to give me travel tips and to help me tour their towns. This was HER promise. She broke it. She lied MANY MANY times and you think that is OK???? “Jonny I am sorry, I lied to you. I didn’t know it would cause a lifetime of depression and suicidal thoughts. Best wishes.” I offered to pay her $1,000 US for it. That’s all I have needed. ALL. I also asked you to apologise for your CREEPY BEhaviour. I BLOCKED YOU IN OCTOBER BUT YOU CONTINUED TO HARRAS AND MESSAGE YOU. CAN YOU NOT UNDERSTAND I BLOCKED YOU BECAUSE I DO NOT WANT ANY CONTACT WITH YOU OR YOUR FOOLISH TRAVEL BLOGS? NOW YOU GO AND CONTACT MY FRIENDS, MY FAMILY, RUINING MY DREAMS AGAIN. I HAD STARTED A NEW LIFE AND NEW PROJECT THIS YEAR AND YOU DESTROYED IT. LEAVE THOSE GIRLS ALONE. THEY ARE MY TRAVEL FRIENDS, NOT YOURS. I PRAY EVERYDAY IN CHURCH FOR AN ADMISSION AND AN APOLOGY. IF YOU AND THOSE GIRLS ARE GOOD PEOPLE, YOU WILL DO IT. YOU WILL ADMIT YOU WERE WRONG AND APOLOGISE. I ADMITTED I WAS WRONG. I APOLOGISED. BUT BEFORE JULY 2016 I DIDN’T LIE. NOW DO ME A FAVOUR AND AT LEAST APOLOGISE, LEAVE THOSE GIRLS ALONE, DO NOT TELL THEM YOU KNOW ME – I DON’T KNOW YOU, I DON’T LIKE YOU, YOU PRETEND TO BE CONSIDERATE – IT IS A COVER UP FOR YOUR REAL PERSONALITY. AT LEAST IF I AM ANGRY AND RUDE TO YOU, IT IS REAL. I AM HONEST. THOSE GIRLS LIED. IT WAS REAL AND HONEST. I POSTED WHAT WAS REAL. SHE HAD NO TRAVEL TIPS. SHE TOLD LIES. SHE FAKED THINGS. AND WHY IS IT “YOUR DUTY” TO INTERRUPT. IT IS NONE OF YOUR BUSINESS. YOU ARE NOT MY FRIEND. STAY AWAY FROM MY ISSUES AND MY MENTAL CONDITION. ONE DAY IF YOU EVER SUFFER FROM IT OR HAVE A CLOSE PERSON NEAR YOU SUFFERING YOU WILL KNOW HOW IT FEELS, WELL MAYBE YOU WILL NEVER UNDERSTAND IT. LIES ARE LIES. AS A HUMAN HER AND YOU CAN ADMIT YOU LIED AND THEN APOLOGISE – HOW HARD IS THAT??? I WILL DO IT EVEN IF I AM NOT WRONG, BUT THIS GIRL WAS WRONG AND FOR YOU TO AGREE THAT HER LIES ARE OK IS ALSO WRONG. DO YOU UNDERSTAND ANYTHING HERE? YOU ARE INTERFERING IN MY LIFE, RUINING MY HOPES MY DREAMS. I DON’T CONTACT YOUR FRIENDS (FORMER OR CURRENT DOESN’T MATTER). iTS’ STALKING. It’s my duty, Jonny, because it’s the right thing to do. When someone is being bullied and harassed, I won’t sit idly by and watch it happen, I’ll stick up for them. As I’m doing now, even if it means you turn your crazy behaviour on me instead. They girls may have said they’d give you travel tips (holy hell mate, get a grip, it’s seriously not a big deal), but then after getting to know you better, and perhaps realising they don’t like you, or don’t want further contact with you, they rescinded that. It’s our right to change our mind. Wow Johnny, you’re clearly beyond help. Let’s leave it here. Get over yourself, you’re not the focus of anyone else’s life, honestly. Live your own life, go and try to be happy, leave everyone else alone, and if you hurt other people, be aware that 3rd parties will intervene because that’s the right thing to do. Surely after the first couple of times this chick demonstrated that she clearly had no intention of following through with her supposed interest in meeting with you to share travel tips and ‘like’ your Facebook posts [my god what has the world come to when you are clearly driven to depression based on the lack of likes on your Facebook posts] you would have taken the hint like any other person and not focused anymore of your time and effort in meeting this girl. This is life. Not everyone is genuine, and when you come across one who clearly isn’t you don’t then purposefully pursue them and make them feel guilty and responsible for your mental health just because they’re not interested in meeting up with you. NOBODY in life is under any obligation to meet up with anyone no matter what they have alluded to in the past or how nice they once appeared to be. If you are still hounding this girl, then I’m sorry you ARE a stalker and need to leave her alone. She doesn’t owe you anything! I hope you are able to let go, for your own sanity. Hey keen travel reader. In the 8 months of my depression, this one comment by you actually resonates – it is sensible and honest. Yes, I see that she probably had no intention of giving me the travel tips and information BUT two weeks after that she wrote to me saying that we are good friends and she wants the best for me. Then I was front page of her local newspaper and asked her if she could please post it to me (I offered to pay) – I was out of the area and couldn’t get a copy. She refused to post me the newspaper, or rather, pretended not to read the messages and reply. She was a compulsive liar and that is also very sad, but it causes me suicidal thoughts every morning. Every day. All she needs to do is tell me “Sorry Jonny, I lied. I didn’t know it would cause your suicide. Best wishes. Ola.” (but she cannot do that – I would do it for ANYONE if they asked me – ANYONE). And ultimately this has messed my brain up. Firstly, awesome job. I started blogging a number of years ago, and never really took it seriously. Just enjoyed writing and used it to build confidence in this area. However, I have a quick question. I have applied for adsense, did an adsense online course and read books on it. Followed everything to the letter but Google has blocked my account. I followed every rule and regulation. Do you use adsense to make money or are there other ways? 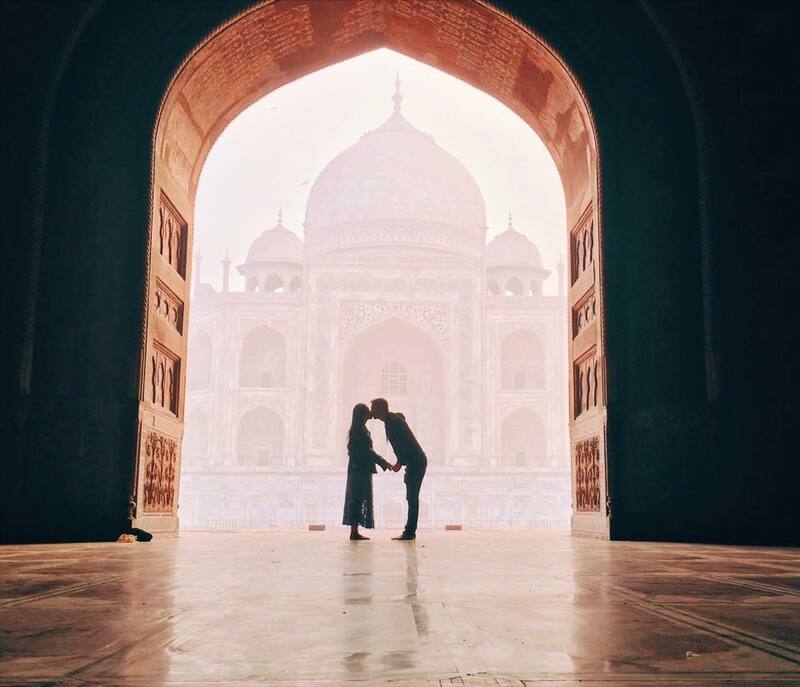 Great post and earned so good revenue with your blog.Places you have visited are full with beautiful things and taj mahal is one of the best things. Really looking forward to your course. As someone who has lived and worked in Thailand before (teaching English on a government school in Huai Khwang 2012-2014) I can relate to your story. In a sense, I know where you come from, which makes it even more inspiring to me. Unfortunately, I am back on home turf (Germany) working the 9to5 right now. It is just so damn hard to enter this monotone grind again. 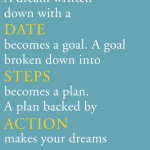 Sorry for the rant, and yeah I will get myself a copy of your escape plan blueprint. 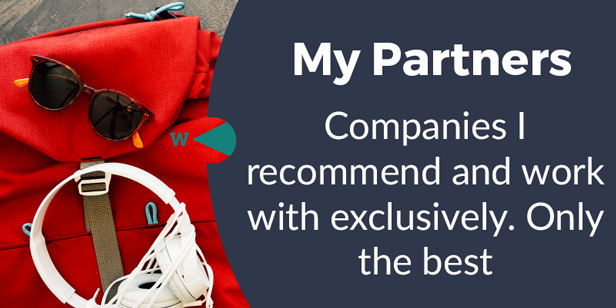 I recently came across your travel blog and enjoy reading it. You have lots of great information. 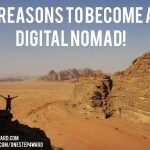 It is so far my favorite travel blog. I do have one concern though…. I was reading about your GiveBackGiveAway foundation. It is great when people donate of their time and money to help out those who are less fortunate than ourselves. The free, all expense paid trip for one lucky doner to go and experience giving back is a great idea. My concern however is that it comes out of the donated funds. You boast on your site that so far you have made $1.5M from your blog and in just nineteen days in January alone made $25,000. Don’t you think it would be more appropriate for YOU to fund the free trip and let the money donated by those who want to help go directly to benefit the cause? Just a thought! Numbers definetely inspire =) Good luck for 2017! So where is the book? Subscribed and did not receive anything. You could receive on your Email. Check it once. Hey Johnny, scorching start to the year mate … congrats! Awesome you’re giving back too … we need more people to do just that in this world. I’d definitely consider buying your course, as I have one website and three years experience doing content writing, so I’m looking at taking my skills and using them to build assets for myself. I also tried to sigh up for your mailing list, but there was an error … not sure if random, but you may want to see if something’s amiss. Best wishes for a prosperous 2017 dude! One thing for damn sure is you didn’t make $25,000 in 19 day and you never made 1.500,000 blogging. You’re just selling a get rich quick scheme to suckers! lol, right mate, sure. Sorry if you don’t believe it, but as you can see on my site, I’m not selling anything. Just showing how another life is possible, and hoping to inspire others to follow a similar path. I’m sorry if you’re life is too small to comprehend that, maybe one day you’ll be happy too. Posted a gun for sale on armslist. Got 8 relatively fair offers, but here is the weird part. 7 of the offers all have very similar email addresses. They are firstnamelastnamenumber@yahoo.com, so bobsmith111@yahoo.com and jimjones1234@yahoo.com.